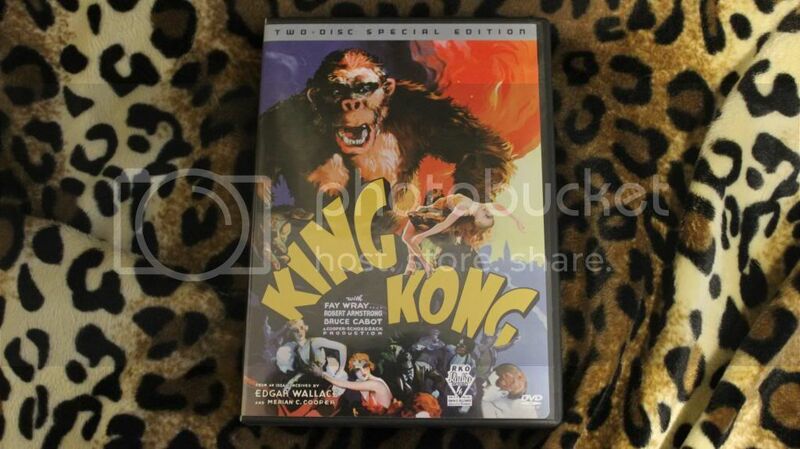 Today I review the 1933 film, King Kong. The story is mostly about Carl Denham, a filmmaker who takes a crew to a far off island no one has ever heard of. There he seeks out a legendary beast named 'Kong' to capture him on film (and eventually in real life). He brings along with him a woman, Ann Darrow, to star in his movie. Dinosaurs, airplanes, bombs, ships, and the Empire State building are among the things you'll see. I don't want to give too much away if you have not seen it. It was deemed "culturally, historically and aesthetically significant" by the Library of Congress. (However it does have some problematic sexist and racist moments that are hard to ignore.) Overall this 'beauty and the beast' story is pulled off and the film is well made. It's not my favorite in this series, but it's also not me least favorite.